Saving money on a new Infiniti in Illinois is simple. The first step is to research the Car model of interest and identify any other vehicle of interest. You’ll receive Car price quotes from Illinois Car dealers. Simply compare prices to find the best Car prices in Illinois. The Infiniti Q50 ticks all the right boxes for those looking for a classy, intelligent, athletic sports sedan. The car boasts a sleek exterior of flowing lines based upon the Essence concept car Infiniti debuted four years ago to celebrate its 20th anniversary. After a 2017 update, it features potent engines to match the sleek shape. The base engine is a direct-injected, 208-horsepower, turbocharged 2.0L, which also produces 258 pound-feet of torque at just 1,500 rpm. Also available is a 3.0L V6, which benefits from twin-turbocharging. In standard tune, it makes 300 horsepower and 295 pound-feet of torque, while the high-output version delivers 400 horsepower and 350 pound-feet. 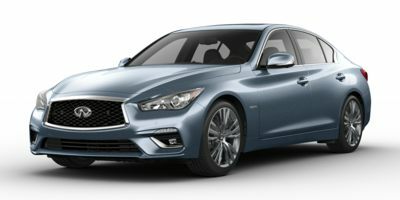 The Q50 Hybrid benefits from a 3.5L V6 with Infiniti Direct Response, which combines a gasoline engine with a lithium-ion battery and 50 kW electric motor. The result is 360 total horsepower. A 7-speed electronically controlled automatic transmission with Adaptive Shift Control and manual shift mode is standard on all engines. The Q50 is available with either rear-wheel or all-wheel drive, though the base trim only offers rear-wheel drive. The Q50 comes in five flavors -- Pure, Luxe, Sport and Red Sport 400 -- while the Hybrid is available in Luxe only. 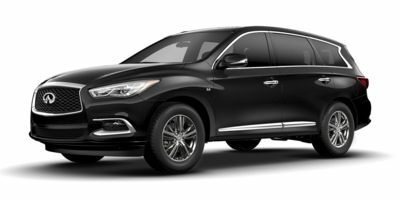 The base trim includes 17-inch alloy wheels with run-flat performance tires, speed-sensitive power steering, auto on/off LED headlights with LED fog lights, zero-lift front and rear aerodynamics and remote-open windows. Inside can be found creature comforts such as dual-zone automatic climate control, one-touch up/down windows all around, aluminum appointments, 8-way power driver and passenger seats, a 6-speaker audio system with twin USB ports and steering wheel-mounted controls, Bluetooth hands-free connectivity and dual Infiniti InTouch LCD displays. Q50 Luxe models add pleasantries such as a power tinted moonroof with one-touch open/close functionality, heated front seats, an auto-dimming rearview mirror with HomeLink, and a 14-speaker Infiniti Studio on Wheels Bose audio system. 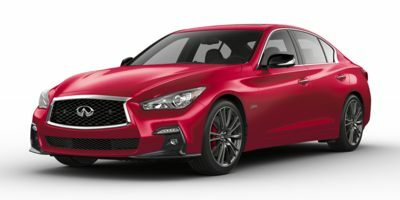 Additionally, Q50 Sport models include 19-inch alloy wheels with ventilated aluminum sport disc brakes and a sport-tuned suspension, leather front seats with improved bolstering and 10-way power adjustability on the driver's side, and magnesium paddle shifters. Both Q50 Hybrid models add regenerative braking, which captures energy normally lost during braking and uses it to help recharge the lithium-ion battery. A number of packages are available on Luxe and Sport models. The Leather Package adds leather seating front and rear, with driver's seat 2-way power lumbar, while the Deluxe Touring Package includes maple wood trim, 60/40 split-fold rear seat, rain-sensing wipers, and Direct Adaptive Steering, which allows independent control of wheel angle and steering based upon driving conditions. The Q50 will be the first Infiniti vehicle to package all of the automaker's driver support technologies under the ProPILOT label. The model will offer Active Lane Control, which prevents drivers from swerving out of their lane, as well as adaptive cruise control, lane departure warning and prevention, forward emergency braking, predictive forward collision warning, backup collision intervention and a new second-generation steer-by-wire system. 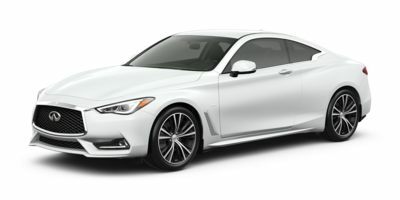 Compare Illinois Infiniti prices. 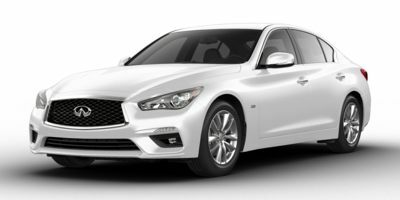 Get free price quotes for any Infiniti in Illinois. See the invoice price, MSRP price, and clearance prices for all vehicles. Save big when Illinois Infiniti dealerships compete on price. Compare Infiniti prices, pictures, reviews, local rebates and incentives, and more. View all used vehicles for sale in Illinois. Compare used Infiniti vehicles and get the best deal in Illinois. See prices, pictures, vehicle specs and everything you need to get the best deal on a used Infiniti. Bad credit auto loans and good credit auto loans for a new or used Infiniti in Illinois. Compare current auto financing rates and get approved before you go to the dealership. We can get financing for nearly all new or used Infiniti buyers in Illinois. Get a free auto loan quote today. Compare auto insurance rates from top lenders. Get the lowest monthly payment on a new or used Infiniti in Illinois. With free Infiniti insurance quotes, you can save money regardless of driving history.